Below are 11 of the MOST unforgettable movie dance scenes that CAN be recreated in any high school gym across the country ranked in order of difficulty from easiest to hardest. So bust out your dancing shoes, grab your friends, and get your groove on…with the school’s permission of course! They were all about rhythmic hand movements back in the day. Learn the initial pattern, repeat that over and over, and you’re set. Any additional flourishes or gyrations are up to you! All you need is two hepcats with hips that sway and decor from the 1950s, including Marilyn Monroe and Ed Sullivan impersonators of course. Six years before Magic Mike there was Little Olive and her dysfunctional family. Grab your clan and get down to Rick James using the best pageant dance ever performed on the silver screen. If you stick to the actual “Shake a Tail Feather” routine that the Blues Brothers are doing and omit the street performers (how can they even hear Ray Charles?!? ), then you can easily recreate this scene. If you know the thriller-inspired “Everybody” dance from the Backstreet Boys video, then you are a major step ahead. All you need to do now is gather thousands of articles of white clothing and 300 of your closest friends. The dance itself may be easy, but try doing it in those big shoes and the difficulty level increases threefold. The difficulty in this choreographed dance will be making dresses as sweet as those worn by Romy and Michele. A throwback to the King of Pop himself whose dance skills can never be paralleled, but forever recreated as best as you, or Jennifer Garner and Mark Ruffalo, possibly can. John Travolta was a dancer before he was an actor, but even he had to learn how to disco for Saturday Night Fever. Recreating this routine will take more practice and a lot of hair gel, but feel free to cheat and skip the colorbrite dance floor. The ultimate 80s prom dance ensemble full of moving parts and confetti galore. 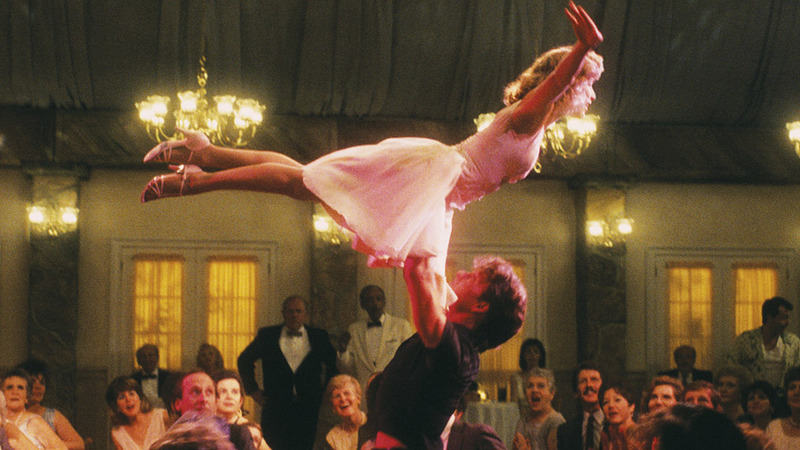 Two words: “The Lift.” Even Jennifer Grey only did it once. Repeat airing on Thursday, September 29th starting at 8/7c.